Published on November 24, 2017 in Crime in T&T, General T&T and Politics. 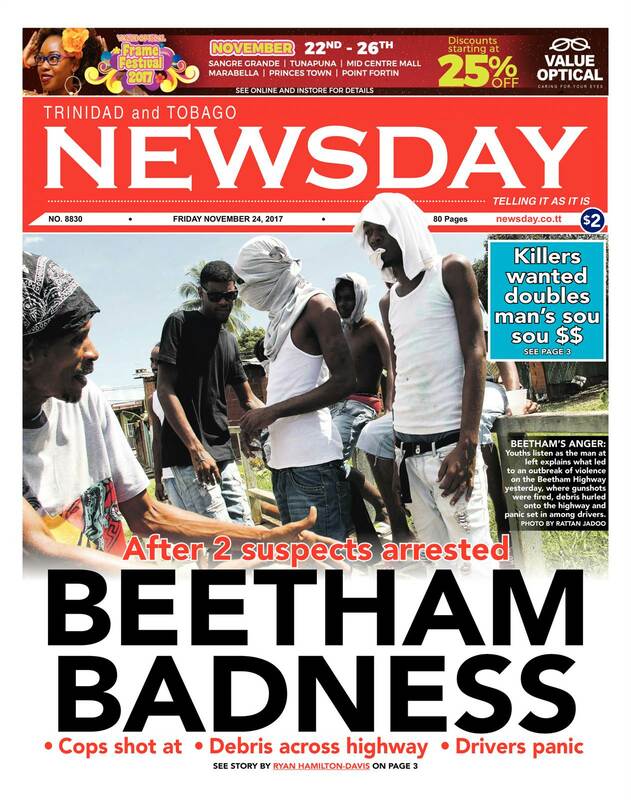 33 Comments Tags: Abuse, Beetham Highway, Crime in T&T, Newsday. After the arrest of two of their own, Beetham residents vented their anger by throwing debris onto the highway and then firing shots when police arrived to clear the rubble and restore order. What followed was hours of gridlock on the east-bound and west-bound sections of the highway, the Priority Bus Route and the Eastern Main Road. Head of the Port of Spain Division, Snr Supt Floris Hodge-Griffith told Newsday she and her officers had to duck for cover when they were shot at on arriving at the Beetham. Hodge-Griffith said she was driving in a marked police vehicle on the Beetham Highway at about 10.45 am when she encountered the blockade.